Look for me, I’ll be dressed as a lesbian. It’s Halloween. You probably noticed. And in case you’re wondering, I will be dressed up as a lesbian. And I’ll be hanging out with a cross-dressing Mickey Mouse and a Rock Star Ariel – because a regular, old princess mermaid just doesn’t cut it these days. 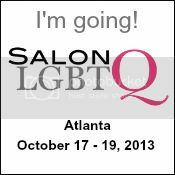 My lovely spouse will be joining us, and I believe she will also be dressed as a lesbian. A warmly dressed one, undoubtedly. I think we’ll make a great crew. And if it works out, maybe we’ll start a girl band. Feel free to suggest some band names in the comments. And this brings me to my next point. How do you dress as a lesbian for Halloween? Let me tell you, because I learned this in high school French class from a very pretty, popular girl who was sitting behind me. Let’s call her T.
Me: What are you going to dress up as for Halloween? Me: Oh, how are you going to do that? T: I’m going to wear a tight black leotard and cover myself with lipstick kisses. And it’s a bit awkward, because the only thing more uncomfortable than wearing a leotard in public is wearing a leotard in public while propagating your own made-up stereotype about lesbians. That and she is practically an adult going Trick-or-Treating with an jack-o-lantern candy bucket. But, THIS CHICK IS GORGEOUS! And covered in kisses. So now you know why I turned gay. WARNING: Your toys might be causing health problems. Minor injuries and insanity at least. Every time you buy something for a baby, it comes with a warning to the parent about what bad thing can happen to the baby if they are not strapped down with all of their orifices sewed closed to prevent injury. And I think all of this stuff is very important, even if no one ever reads it. But I have a new proposal. Warnings for adults about what can happen to the adult if anyone buys these toys. The Little Toy Kitchen: WARNING: Can cause back injury in adults. Because you will be picking up tiny plastic vegetables, fruits and miniature pots and pans for the next five years. Toy Guitar (The Dora Singing Star Guitar, in particular): WARNING: Can cause temporary insanity and deafness. Do not use while operating a motor vehicle. We made the mistake of buying one of these for our daughter while we were in the suburbs. We live in the city, and it was 30-minute drive home. I am surprised I didn’t get in an accident while I slowly went completely psychotic from the sound of Dora repeating “Lo hicimos” over and over again. And then, we did it! We took the batteries out. Stickers: WARNING: Adults with any symptoms of OCD or anxieties about arranging objects into logical order and in the proper location should avoid using stickers without first consuming alcohol. Whenever my daughter plays with stickers, I have to employ a lot of self-talk that goes something like this: “It’s OK that Barbie’s shoe is stuck to her head. It’s OK.” Or “It doesn’t matter if all the stickers are stuck to each other and not in the book. The book does not care.” I have been practicing this for three years, and I still can’t watch her playing with stickers without trying to rescue a few of them from her grubby hands like lambs from a slaughter. This was a gift from some beloved friends. But after my daughter opened this and played with it, I wondered if my friends secretly hated me. What toy warnings for adults would you recommend?